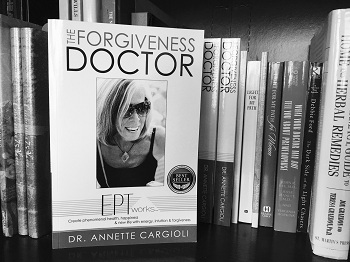 Hi, I'm Dr. Annette Cargioli, the forgiveness doctor. with energy, intuition and forgiveness. altering drugs or years of talk therapy, it’s time for more compassionate imaginative initiatives in emotional healthcare. that will change your life and health for good. Chapter 10 from The Forgiveness Doctor.